When Evan and I were told it was 100% certain that Jake had trisomy 21 (Down Syndrome), 1 million thoughts raced through my mind. I doubt I can adequately articulate my exact thoughts and feelings at that moment. However, when we were “by accident” told that Jake was a boy I remember very clearly the precise thought which entered my mind first. The realization that Evan might not be able to play little league with our son was the thought which resonated first (and loudest) in my brain. Jake was born 14 weeks early and only lived for 14 days. He did not ever leave the NICU. He never played little league. His little brother and little sister did join a team this year. They played in their first little league game over the weekend. The team shirts were randomly given out right before the game. I have always thought that Jake’s lucky number was 14. So, maybe just maybe he was there today too. 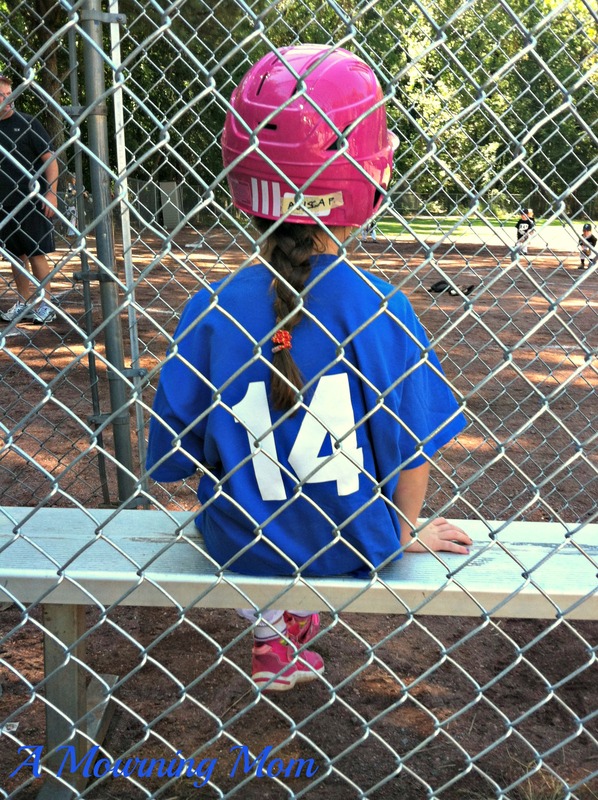 Our angel son had T21 too and finding out the diagnosis brought on a load of emotions and thoughts for sure – I thought the same thing about my husband missing out on little league. Signs like your daughter’s jersey number are something I look for and hold on to, so for what it’s worth I think Jake was there. I love little “godwinks” like this. Jake was definitely there with you watching the game. He was most certainly there… that number 14 and multiples thereof sure do seem to show up! And Sawyer too! Love this, the good luck signs and the gorgeous twins looking like all-stars! Keep up the amazing work, Lanie. They are adorable… love the story about 14. Hugs to you! Love this! Great pics–and so glad they’re representing NYC on their “team”! And of course, I think the 14 is NO coincidence at all!